At the top of the list of dividend growth investing benefits many a seasoned investor will rank the principle of income diversification through a basket of stocks that throws off dividends. Rightly so, it’s better to receive ten small paychecks worth €1,000 in total rather than one big cheque worth exactly the same amount. Even though it’s easy to diversify your income sources with dividend stocks, only few investors actively pay attention to it. Today, I’d like to rectify that. I’ve noticed that “diversification” and “diversify your portfolio!” currently amount to nothing more than catchy phrases that hardly anyone actually pays attention to. With myself being one of the culprits, it’s high time that we take a closer look at what it means for a dividend growth investor to diversify his investments, especially with regards to the future passive income that his portfolio generates. Diversification in a financial context means the reduction of non-systematic risk by investing in a variety of assets in such a way that there’s no positive relationship among the return of those assets. Of course, this almost academic description has been popularised by the proverb “don’t put all your eggs in one basket”, which is what most people understand by diversification. As such, many investors try to diversify the weight of their portfolio’s holdings based on a number of criteria, among which geographical and industry categorisation are probably the most popular. While that’s a good thing in and of itself, Keith from DivHut recently made me see the light in one of his comments. Ask yourself the following question. 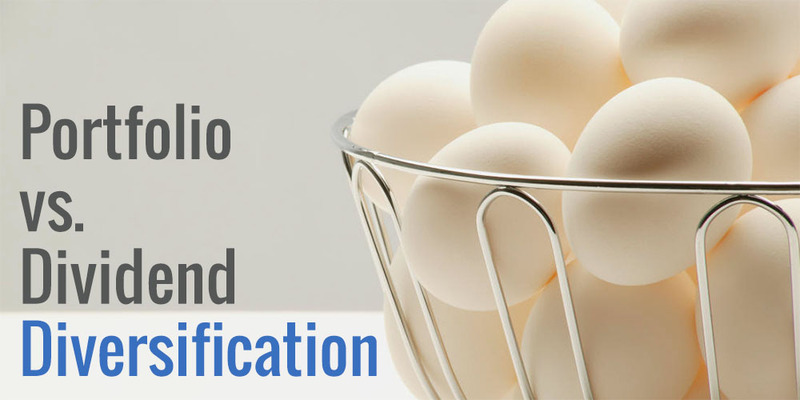 Which type of diversification is by far the most important to a dividend growth investor? To me there’s two basic ways to reduce the systematic risk of your dividend portfolio. On the one hand you can diversify your portfolio through weighted averages like almost every other investor does, but on the other there’s your dividend income that should also be diversified. It’s this last type of diversification that’s often forgotten by our community because it’s rather unique to dividend growth investing. Let’s take a look at my own dividend portfolio. The graph below shows the weight of ten industries in my portfolio in blue, as I’ve added them to my dividend stocks tracking sheet. The orange bars display my forward dividend income at the moment for every indsutry. As you can see, there’s quite a lot of difference between the two. Where defensive consumer goods make up the bulk of my portfolio value, they come in only second with regards to generating passive income. The opposite is true for energy companies. While their weight sits at a comfortable 14% of the total portfolio, the income they generate amounts to 22% of my estimated annual dividends. That’s a big difference! 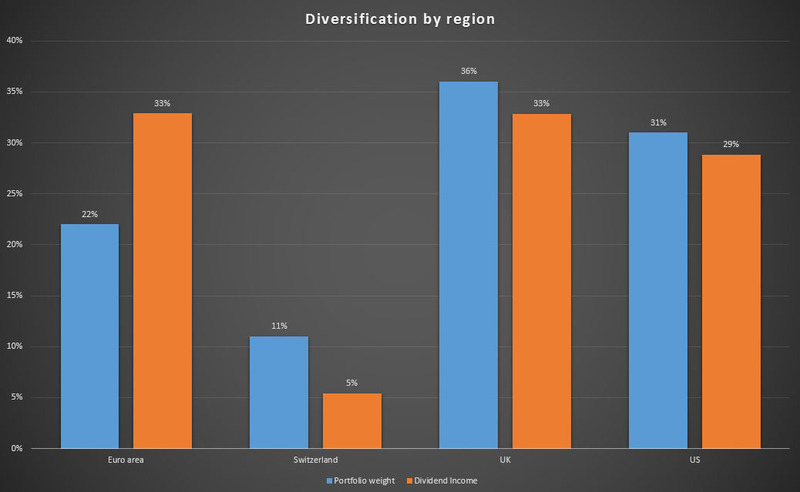 The diversification between regions is even more pronounced with regards to Europe and Switzerland. Even though the difference between portfolio weight and dividend income is partly due to foreign withholding taxes, much can be attributed to energy stocks as my European portfolio contains quite a lot of them. On top of that, my two European financial stocks offer some of the best yields. Even though this chart seems to confirm what many investors have experienced for decades, namely that European companies generally offer a higher yield, that’s not what I take away from this small exercise. To me, it’s clear that I have to pay more attention to the diversification of my dividend income rather than the weight of the individual stocks in my portfolio. Energy stocks may not seem to be overweight at first glance, but when drilling down deeper into the data it becomes clear that almost 25% of my yearly income can be attributed to them. That’s simply too much for my taste, something I discovered after recently buying more Royal Dutch Shell (AMS:RDSB). When you try to diversify across ten industries you’re not doing a good job when one of those industries provides 25% of the yield. Imagine what would happen if oil continued its price decline, leading the energy stocks in my portfolio to cut dividends? That’s 25% of my forward income at risk even though these stocks only make up a little less than 15% of my invested assets. What’s too much yield for a single industry or region? The answer isn’t immediately clear and is contingent on the personal preferences of investors. On top of that, there’s external factors outside of your control such as the previously mentioned withholding taxes, but also the historically higher yields of energy stocks, utilities and real estate investment trusts. All of these stock characteristics play a role in the portfolio and dividend diversification of your investments, which makes achieving a perfect balance between sectors, regions, currencies, and a whole myriad of other things a gargantuan task if your portfolio continues to grow. Still, I believe it paramount that we as dividend growth investors consider the implications of an investment on our future income. Before looking at complicated solutions to systematic portfolio risks like hedging, we best employ easier strategies like dividend income diversification. If we don’t, we effectively render the often praised benefit of multiple income sources void. Have you dealt with the issue of dividend income diversification in the past? If so, how did you tackle it? Nice post, NMW. Oddly enough I have been toying with this particular form of diversification since I first bumped into the “no stock providing over 5% of dividend income” rule over on Dividend Life’s Charter (see http://bit.ly/1Njo1gD). However, I have not really acted on it yet! My dividend stream is heavily weighted towards financial services, oil and healthcare (quite consciously, I may add!). Currently, all of these overweight industries are reflected also in traditional diversification measures (i.e. by value weight). However, when you switch it to dividends provided all of this is amplified hugely. Like you this became abundantly clear again recently with my purchase of more Royal Dutch Shell. Mine is a little more pronounced than yours I think though, as with regards healthcare and my portfolio at large it is GlaxoSmithKline who is the biggest “breadwinner”. Looked at dividend wise, my portfolio looks woefully under-diversified. Dividend Life’s 5% rule is pretty neat. However, I am willing to consider 10% my target limit for now. As my portfolio grows I am hoping that increasingly I will approach a 5%-ish limit to dividend contributions per company. We will see! 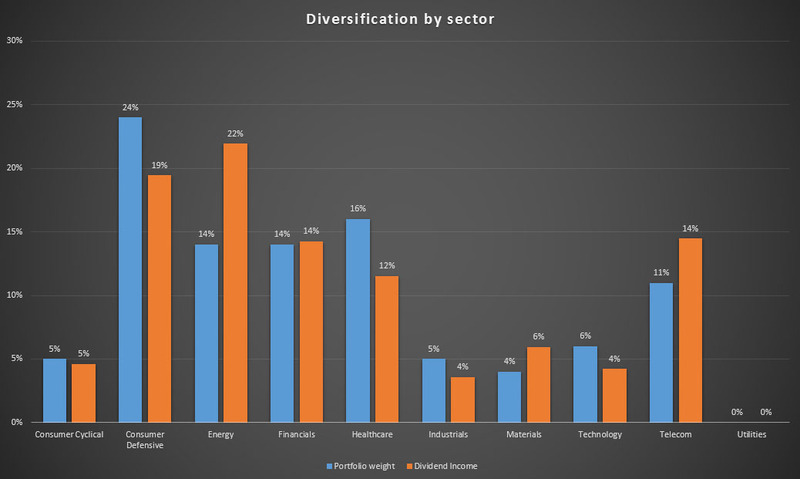 I have not properly done a breakdown of dividend income diversification by sector. But after this post I think I will do! Thanks again. Very, very interesting! It will be interesting to see how you choose to act on this now you have pinned it down. Any ideas yet? It seems we experienced the same epiphany recently. Even though it’s different industries, we’re both overweight in some with regards to dividend income. Of course, it’s difficult to immediately diversify when you’re buying individual stocks, so some of this problem should sort itself out if we continue to invest. We do however have to remain vigilant when purchasing stocks. I wouldn’t mind having GSK as one of the biggest breadwinners in my portfolio, but when is too much too much? There’s also a difference between diversification within an industry and between undustries. I’d rather own GSK, JNJ, Roche, Novartis, etc. to further diversify within health care and have that industry deliver over 20% of my dividend income than simply have GSK make up 20% of my dividend income by itself. The 5% rule is very interesting. I’m going to try and stick to it too from now on. In a couple of months it should be possible to achieve that target because I’ll have to grow my portfolio to a more sizeable amount first. For now I won’t be doing much. I’ll just continue to invest in sectors that are underweight and the “excesses” from the other industries will sort themselves out because my portfolio still is relatively small. Currently I’m looking at AB Inbev (EBR:ABI) and Kinepolis (EBR:KIN), which should boost my consumer cyclical and consumer goods income. Other options are utilities in Spain because they’re all solid dividend payers. Exactly. When you’re first starting off you inevitably are a bit “heavy” and reliant on income from certain companies (see this from July last year http://bit.ly/1noH9e9). At one point GSK was a third of my portfolio. Now–without any sales, only new additions–it represents 13%. Maybe still a bit heavy, but much healthier! However, looking at it with regards dividends it represents 15%. HSBC another 10%. This means a quarter of my income is from two companies. Luckily because I have been targeting high-yielders so far the relationship between portfolio and dividend weight is not too different. Of course, as you say: “What is too much?” Who knows! However, although I am quite comfortable with GSK sitting at 15% with its dividend record. HSBC is a little more cautiously accepted. Its record is certainly not perfect but it is still pretty impressive. This is why it is important in invest in quality companies with solid histories. I think you’re right about an industry-focus. My healthcare exposure is GSK only at the moment. I have been itching to change this for ages. But none of the other London-listed ones have appealed as yet! Over time I hope that the 5% rule will be reachable. However, at the moment my handful of “conviction” purchases means it is a little off at the moment! Long term goals and all that! As I say, hopefully 10% is more manageable in the short term. I agree it is all about refocusing your attention to weaker elements in your portfolio exposure. I am looking to bolster my consumer stock exposure as well. However, also the industrial and healthcare sector. Of all of them, the industrial sector seems most likely to be bolstered sooner rather than later! I’m probably doing pretty bad in terms of dividend diversification but there’s still plenty of time to rectify that. Currently I’m very heavy in energy and tobacco, and energy is going to get more overweight soon as I’m planning to add some more RDSB. The juicy dividend is hard to resist. Big dividend yields are hard to resist, but I’m weary of indulging too much in them. There’s obviously always an added risk compared to lower yielding stocks, especially when the payout ratio is high already. A good example of this is GSK, which Dividend Drive mentioned in his comment. Of course, if your portfolio is still in its infancy it’s difficult to quickly diversify, so you have plenty of time to sort things out. Great post. I also am aiming for Dividend Life’s 5% rule, although I’m doing it gradually via new additions to my portfolio. That being said, I too added more RDSB when the price got to £20.01 but I am highly unlikely to add any more now. The 5% rule is pretty neat! I can’t believe I skimmed over it when going through DL’s website. I’m doing the same: by adding to the portfolio I’ll slowly rectify any excesses. Can’t resist that RDSB yield, can you? 😉 It seems we’re all too eager to jump in at these low prices – and who can blame us, Shell is an awesome business. Glad to hear we’re applying the same strategy! Great post, NMW. I do the same – and watch for my portfolion and dividend diversification in order to find gaps in my investments. Its a great way to get a good picture of how you are investing – from a different perspective. Looks like you could use some diversification in the utilities sector. Geographical diversification looks great….in my case, I do tend to have a bit of a home bias and my geographical diversification looks at Canada, US, EU and rest of the world. Hopefully that’ll get better over time. Thanks! Glad you found this post an interesting read. I’m not surprised that you employ a couple of different ways to look at your portfolio. From your blog I get that you’re meticulous about the companies you invest in, both from a value point of view as well as from a risk-reward and diversification standpoint. Utilities are difficult for me to invest in. Europe still hasn’t got a truly unified market with regards to utilities and infrastructure, so it’s difficult to know the industry’s specifics in other countries. Currently I’m looking at two utilities in Spain and one in the UK, but I’ll have to dive deeper into their annual reports and European Commission documents to get an overall view of the landscape. Home bias isn’t too bad of an idea! I’m currently building my European position as I prefer some more home equities too. Thankfully we have great companies over here too! In my little spreadsheet I keep track of this as well, minus the geographical aspect and that might happen at some point (all of my holdings are either Canadian or in the USA). 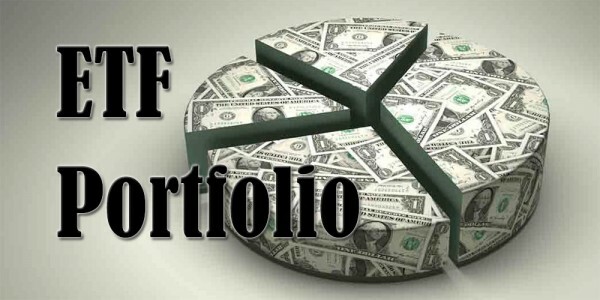 I track weight of each position in terms of total portfolio and in terms of my taxable account versus my Roth (tax deferred retirement account). I also track the percentage of dividends from each sector (I do my own definition of sectors as sometimes I feel they are no adequate). Either way I find currently 57% of my passive income is from Consumer Staples, Energy and Finance with CS being the largest. I am pleased with CS being the largest because as uncool as they always will be, they will never go out of style per se. Still it is one of my big goals this year, to increase my diversification and reduce dependence on any particular sector or sectors. Great write up on your account NMW, I fully agree with you on your assessment. Diversifying is a big part of being secure in your investments. It’s great to hear that you already pay a lot of attention to your dividend diversification! I still believe that many investors (especially new ones) tend to forget this, myself included. Consumer staples will always remain my largest position, simply because they’re quite a lot more defensive and they’ll continue to do great. People will always need food, for example. So you’re not in a bad spot there yourself! Keep it up diversifying your portfolio. I’ll try and do the same. I had actually recently looked at something similar to this myself when I did my annual dividend growth checkup over at Seeking Alpha. Except it was more DG related. I’ll have to run my own numbers to compare dividend weight to portfolio weight. My O&G exposure is probably a bit higher than I’d like since it accounts for 20% of my dividends and is quite volatile. Ideally I’d like to get more exposure to the steady growers even if that brings down my dividend growth. I didn’t consider the growth component yet, good point. I’ll have to run my numbers again to see how diversified my dividend growth is. As your portfolio and income grows it’s likely that you’ll go for less volatile but solid dividend growers. I’d rather have a 2% yield with a 10% growth rate than a 5% yield with just 2% increases every year. In the long-run you’ll be much better off with the high growth stock. Your post has given me a lot of food for thought. I posted my first quarterly dividend update this week and never thought of diversification of income beyond the stock level. I just had a look and energy accounted for almost 45% of my dividend income this quarter and this will increase going forward as I also purchased additional shares of RDS-B. Now I will have to decide if I am happy with my portfolio dividend weighting after adding some additional stocks on my watch list or I need to go back to the drawing board. Thanks for such a thought provoking post. Many new dividend growth investors seem to forget that income diversification is arguably more important than stock diversification, myself included. That’s why I’m glad you figured out that 45% of your income came from energy – that’s quite a lot! Simply keep adding to your portfolio in other industries and the discrepancy will sort itself out! Interesting idea on dividend income diversification through the different industries. That is a matrix that I haven’t looked at our portfolio, probably something I should take a closer look. The problem with trying to do a dividend income diversification is that some sectors will pay higher dividend yield in general, for example energy and financial sectors typically pay higher dividend yield than say consumer defensive sector. So it will be a little more challenging to try to have a diversified portfolio across the different sectors and have dividend income diversification at the same time. With some sectors historically offering a higher yield it won’t be easy to always have a perfectly diversified portfolio, but you should at least beware of that. Many people don’t see that one company makes up 20% of their dividend income, which could be a real bummer if that stock’s dividend is cut. As your portfolio continues to grow I think you’ll see that you’ll start to diversify without even realising it. Thanks for a most interesting post, NMW. Still fairly new with this stocks buying business but this is obviously something else that I need to have a look at as I build my portfolio. 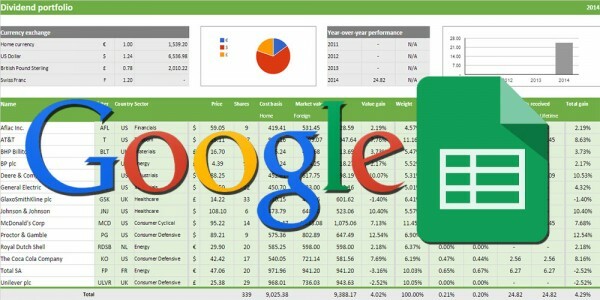 I’m currently using your spreadsheet to track my dividends so I’ll use something similar to check out the diversifications of the payments! I’m glad that you mention my spreadsheet as I’ve found that not showing the dividend diversification is one of its shortcomings. That’s why I’m currently thinking of adding a section like that, but I haven’t figured out yet how to present it. As you build your portfolio you’ll automatically start to diversify more, but it’s best to actively pay attention to it too! I favor the Dividend diversification route and wrote about my new portfolio weighting a little while ago. It depends on your investment strategy but it seems to me that the statement I see fairly often in the FI community of “I don’t care about the market value of my portfolio because I’m investing for dividend income” seems to contradict the statement, “my portfolio is overweight in the xyz sector based on market value”. If you don’t care about the first, then should you really worry about the second? To manage the risk of loss of dividend income, I limit any one stock to 5% of total dividend income as M and DividendDrive mentioned above. I’m using M’s approach by buying new stocks to balance out the income weights as I’m currently over in some stocks. And I have some limits on a per sector basis too which are based on how good each sector seems to be at having dividend champions. Geographic diversification is harder to manage since many companies are global to begin with, but I’m aiming for a simple 1 out of 5 non-US company in each sector for now. For some reason I seem to have missed that post of yours, thank you for bringing it up again. You describe in just a few sentences what I was trying to convey with this post. I have to admit that I too was guilty of focussing on portfolio allocation rather than dividend diversification, even though the latter makes tons more sense for dividend growth investors. The 5% rule is a pretty solid one, I believe. Of course it will be hard to manage 5% for every stock if your portfolio remains relatively small, but overtime it shouldn’t be too hard to keep every dividend payment under 5% of total dividend income. While geographic diversification isn’t too important because many dividend stocks are truly global, I still prefer to have a decent amount of dividends from the US, UK and EU. Even though these economies are closely tied together we’ve seen in the past that sometimes one does much better than the other (as we currently see with the US trumping Europe). Good post, NMW. I never looked at portfolio diversification in that way. Thanks for triggering the thought process. Glad you found this post interesting, Jos! And I hope you find a way to further diversify your dividend income. Interesting post, NMW! However, if you are really serious about diversification, you’d have give up the stock-picking and dividend focus approach you are currently taking. Highest diversification is achieved with a simple broad global index fund, eg. Vanguard All-World FTSE. While I agree that a simple World ETF offers immediate diversification, that’s not what I’m looking to do with my strategy. You’ll see that I still own ETFs for the very reason of diversification in the early stages, but I’m trying to build a high-quality, always growing passive income stream. You just can’t do that to a high degree of certainty with an ETF. An ETF is great at diversifying your portfolio, but not your dividend income. With one fund, you benefit from the diversification power of 100 shares! I’ve looked into that ETF, but it has one massive downside: it’s located in Germany rather than Ireland. For me that would mean a standard tax rate of over 50% on all dividends. That’s simply too much. One other downside is that dividend yield isn’t steady and not increasing over time, which is what I’m after. If that’s not an issue for you, this could be a very good ETF if you’re looking to build a passive income stream. Great post to get the old brain working. Diversification is tough when you are picking individual stocks. As Samuck said, you get to a point with diversification that to avoid systematic risk altogether you just want to invest in the market itself. As a divi investor you must be taking on more risk actively, by selecting stocks that you think will provide you with a better dividend yield in the future. I don’t know at what point diversification starts to actually hinder your dividend yield, it must do at some point? I do struggle with the assertion that dividend investors don’t care about the capital value of stock, only the dividends. If the capital value of a stock really drops then that is surely indicative of problems (in the company itself, the industry, the market etc) which would impact the dividends in the future? Samuck is dead on when when you’re talking about portfolio diversification and avoiding systematic risk that way, but as a dividend growth investor I’m more interested in the income that stocks generate rather than their appreciation. By picking individual stocks I can furthermore go a more prudent route. I can choose to only invest in aristocrats in defensive industries like consumer goods and health care, for example. The dividends from companies in these sectors are likely to be less volatile than the distributions from a World ETF. Capital value of stocks is important, of course, but not too the point that it’s the focus of your strategy. Often stocks drop 5% during the course of a week without any good reason. Does that mean the company is worth 5% less than a week before? Is it performing worse than a couple of days ago? Hardly. A stronger drop could indicate problems, but sometimes there’s simply no explaining the emotional reaction of people to the market. True, the market is a fickle beast from day to day. PS I am still jealous about the amount of pro cycling in Belgium at the moment! NMW, this is actually something I was JUST thinking about over that past few days, I was even considering writing a post about it myself, haha! A lot of people talk about equally weighing every position in one’s portfolio to minimize risk and to minimize loss in the unfortunate event that one company should go completely bankrupt. But I was thinking how for dividend investors, minimizing loss ultimately amounts to minimizing the impact on one’s passive income. As such, equally weighing every position isn’t optimal since companies have different yields, and thus just because you have as much capital invested in two companies doesn’t mean they will pay you the same amount in dividends. Instead, the optimal approach is to allocate your capital among all your stocks in such a way that they each pay out (roughly) the same amount of dividends. This would minimize the impact on your passive income should any one company go completely under. Ha, beat you to it! Looking forward to read your perspective if you decide to continue with your own post. Allocating capital in such a way that your dividend income is nicely diversified, that’s what it’s all about. As you can see I was guilty of not doing that myself – or at least of not paying attention to it. Glad to hear you already figured this out for yourself so early on! I’ve resisted a few sectors – pharmaceutical, biotech, consumer stable, fast food, etc… But after reading your posts, I might reconsider my strategy a bit. Thanks for sharing. What’s the 5% rule you guys are talking about? Excellent post! It is an interesting approach to focus on a diversification based on dividend payout. Thank you for the kind words, Independentbunny! I understand why you would shy away from biotech as it’s a volatile sector, and from pharma and fast food out of ethical reasons, but why not consumer staples? That’s by far my favourite industry to invest in because of their long-term prospects and defensive characteristics. One quick question. 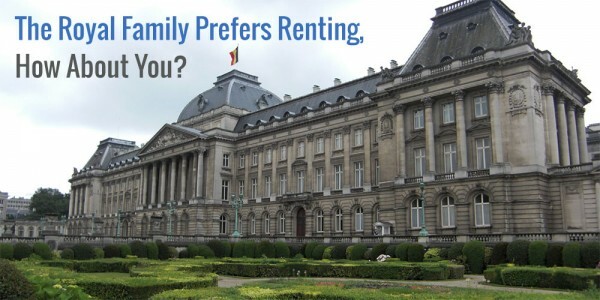 What are your thoughts about investing in physical Real Estate? If you’re up for the amount of work it takes (dealing with tenants, etc.) and if real estate isn’t too expensive in your area, definitely go for it. Many people seeking financial independence leverage mortgages and rental properties to build massive wealth. As for myself, I don’t know enough about real estate and I don’t want to deal with the hassle, so I’d rather own a Real Estate Investment Trust rather than properties outright. 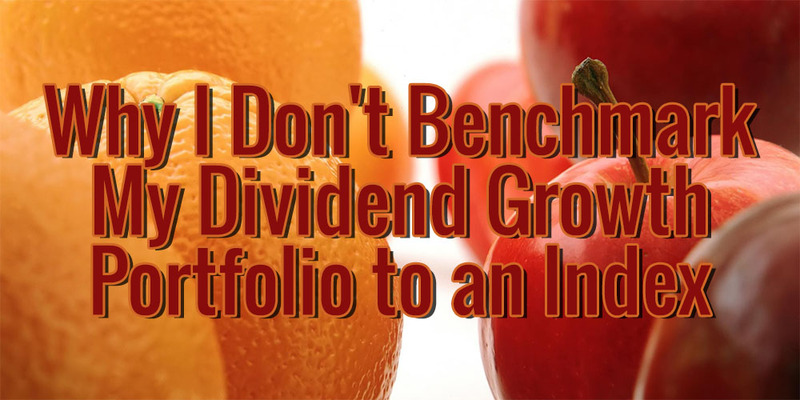 Portfolio diversification based on the dividend income is not a new idea. I first read it many years ago on a blog http://www.dividend-growth-stocks.com/ by D4L who I believe is diversifying his portfolio based on income. I think it is an excellent strategy. If one stock fails to pay dividends, you only lose for example 3% of your income and not more should you be diversified based on the stock weight. I tried this myself, but realized that if you are just starting out your DGI portfolio and your account is small it is not possible to diversify based on income as you would end up buying small positions and commissions and fees would eat you up alive (unless you find out a way to avoid commissions). Income diversification isn’t new by any stretch of the imagination, but it’s often forgotten, especially by new investors. As you can see I’m guilty of not enough dividend diversification myself. You’re right that it’s a really good way to ensure steady income over time. Of course, small portfolio’s will have a much harder time to maintain a diversified income stream, but over time things should even out simply by regularly adding new capital. I think it is mostly unknown way of diversification. I noticed very little people speaking about it. You are the third person mentioning it on your blog. No one else (so far). But of course it doesn’t mean that others do not know about it and it is just my deduction. Thanks for the post. It is a nice reminder for me to check up on my portfolio. Like most commenters, I am slowly building toward a 5% rule. I am doing this with a target of 40 companies in my portfolio, I just added my 21st toward this goal. My timeline is 15 years, so I have some time to do this. With each new purchase we have to balance adding to our current positions versus starting a new position. I have set a near term limit for the maximum value of each of my 21 current positions- if over this limit, then I will not add to that position for now. I am in the US. My only overseas exposure is an international mutual fund, which is currently 13% of my portfolio. I have some Euro based companies on my watchlist for future buys. Like you, my energy and telecom positions are providing too heavy of an income weighting. These companies are the best values right now. But, this should even out over time since I have hit my near term maximum value limit on these stocks. Thanks again for raising the topic- I’m going to work even harder to get more region and sector diversity in my dividend stream. Glad to hear you’re paying so much attention to the diversification of your portfolio, but especially to your dividend income. For new investors like ourselves it’s not easy to immediately diversify properly, but by continually adding to your portfolio we should be able to reduce much of the systematic risk. Over time I’m sure you’ll reach an equilibrium where your 40 stocks put forward an almost even amount of dividend income. Energy and telecom are tough nuts to crack because the yield in those industries is so high. That’s why I have decided not to add anymore to these companies just like you. I also try to keep an eye on what % of revenue U.S. corporations get from non U.S. customers. Many of the biggest ones get more sales overseas then in the U.S. This brings in forex currency concerns and tax rates. Looking at where the revenue from companies comes from is another good way to look at diversification, but ultimately too much hassle for people to keep a close eye on when their portfolio reaches critical mass. I check overseas sales and the like on purchase, but not much afterwards, although I skim annual reports. This is a timeless conversation topic as portfolio diversification along with dividend diversification are both important and very personal. The bottom line when looking at your own portfolio is to be able to ask yourself if you are comfortable owning what’s in your portfolio. Diversification is all about personal tastes and risk tolerance profiles. What’s good for me may not be good for you. That being said I am now more focused on diversifying (to my preference) my stock/sector holdings more so than my dividend income. I’m sure down the road I’ll seek to balance my dividend income better but for now I’m comfortable with only a handful of my stocks providing me with most of my dividend income. Absolutely! Investing is very much a personal affair, so what works for me doesn’t necessarily work for you – and that’s perfectly fine. It’s interesting to hear that you’re not focussing all that much on diversifying your dividend income at this point in time because you are the reason I first bumped into this topic in the first place. Of course, if I take a quick look at your portfolio, I wouldn’t worry about its dividend diversification all that much as you own high quality businesses throughout. Hope you and the kid are great over there! Excellent point on diversifying your dividend as well as your overall portfolio, I had not considered that before. I have been meaning to evaluate my portfolio’s diversity so I’ll have to consider my dividend diversity as well. I’m glad that you discovered this post then before evaluating your portfolio’s diversification. Many new investors forget about their dividends (myself included), so don’t feel too bad about it.